As a full service company, “Garage Door Repair Allen” can be of assistance no matter what your needs are.We are an emergency contractor and have the infrastructures to solve problems 24/7. We also work with the crème of technicians in Texas and so the quality of our services is guaranteed. We want the best for you and that's why we focus on your current problems, try to protect you from buying the wrong products and think for you before you. We are here to consult you when you are planning to get a new overhead door or want to replace the Liftmaster door opener. Our garage door company is perfectly aware of the significance of keeping one’s family safe and meets your requirements for excellent services. When the remote controls don't activate the opener, the door is off tracks or jammed mid-way, you can depend on us for immediate services. Our 24 hour emergency team is at your service night and day. We make sure the problem with the door operators or springs is solved and your safety is ensured. We are knowledgeable of all door types and promise you excellence in maintenance, troubleshooting and repairs. 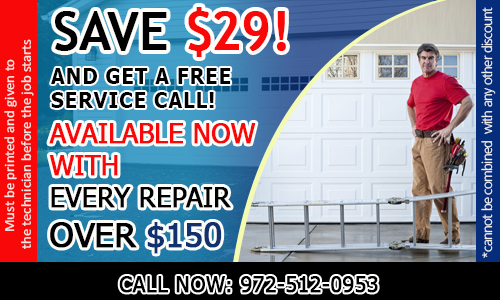 With the excellent services provided by our Garage Door Repair in Allen, you can have peace of mind.